Joseph Gordon-Levitt, who stars in Christopher Nolan's latest movie Inception, is rumored as "interested" in playing the next Batman villain, The Riddler. A studio casting grid that is used in the movie industry so production companies, agencies and others can keep track of projects and what roles may be available. The Riddler is definitely listed as a villain for the Dark Knight sequel. This grid as also reveals that Joseph Gordon-Levitt is down as interested in part. You can read more at Blastr. 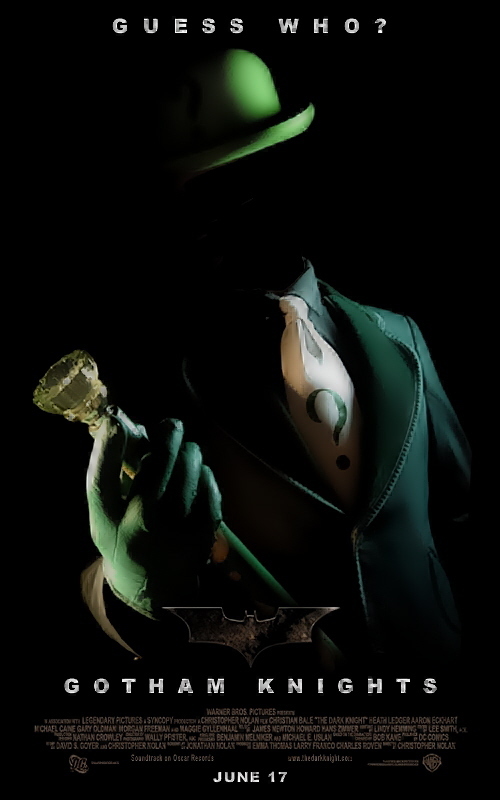 What do you think of The Riddler being the next Batman villain? If you have seen his expressions and fact he is pretty frantic in terms of energy.